Acer XF270H gaming monitor is now officially launched in Japan. The main feature of the Acer XF270Habmidprzx monitor is its 240Hz refresh rate. It comes with AMD FreeSync technology to enable stable and smooth gameplay. In addition, the TN LED-backlight supported 27-inch display features a zero frame design and a native resolution of 1920 x 1080 pixels. 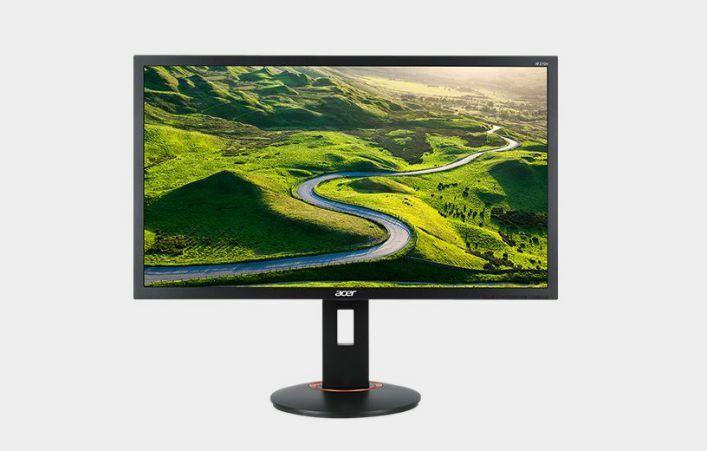 In other features, the Acer XF270H monitor supports 1000:1 contrast ratio (100 million:1 ACM), 400 cd/m2 brightness, 1ms response time and 170/160 degree viewing angles. The monitor also utilizes the ‘Flicker-Free’ technology – to give you a comfortable gaming experience and ‘Blue Light Reduction’ function – to reduce the amount of blue light. Equipped with built-in stereo speakers (2Wx2), the XF270Habmidprzx provides 1x DVI-D, 1x HDMI 2.0 and 1x DisplayPort 1.2 input ports. The Acer XF270Habmidprzx is available now for around 57,000 Yen (about $524).